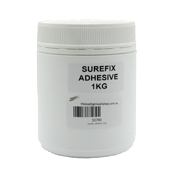 Surefix adhesive works perfectly on all porous surfaces and is white, which means that the colour in any transparent or semi-transparent glasses you use show up beautifully. It dries fairly rapidly and cleans up easily. 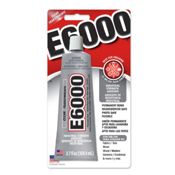 E6000 adhesive is perfect for any glass craft use where you need a transparent, permanent bond.